From August 12 to 30, 2019 the University of Bremen in Germany will host the 11th International Summer University for Women in Engineering. Course offers can be submitted until February 17, 2019. Women engineers from academia or industry and women working interdisciplinarily are cordially invited to develop and submit course offerings. Topics from the broad field of engineering and technology are welcome. Especially teaching in electrical engineering, information technology, chemical and mechanical engineering is welcome. The Ingenieurinnen-Sommeruni is part of the regular course offerings of Bremen University so that teaching assignments can be given to women lecturers. We are especially looking for international lecturers. Course offerings in German and in English are welcome! We invite scientists, to take the summer university as a test field for new teaching formats and to get experience with highly engaged and interested participants. We also invite lecturers with course offers on career topics. Additionally, a special focus program will be arranged. Focus 2019: Women´s Network – Feminist Networking! The women´s network Ingenieurinnen-Sommeruni is a place to exchange about technical and social developments, which we meet in our every-day life and which are designed by ourselves as technical experts. The Focus 2019 wants to give space and time for critical reflections and highly welcomes experimental debates on the relations of technological knowledge and developments in societies. We especially invite teaching offers, which deal with applications of technical know-how in spaces for work and life (for example within care, education, health, food, household, mobility, social networking, publicity, sports, militarization, etc.) from feminist perspectives. Submissions for courses, panels, workshops, and talks on topics such as gender, equality, technology and ethics are highly welcome. Companies with gender sensible organizational concepts and successful personal management strategies to promote women engineers to a broad spectrum of leading positions are invited to present their best practices to the participants of Ingenieurinnen-Sommeruni. There will be plenty of other opportunities to sponsor. The public meeting of the program committee will take place at Bremen University on March 2, 2019. Interested women are welcome. Please send a message to the Sommeruni-Team, so that we can prepare the meeting. Every year the Ingenieurinnen-Sommeruni offers compact teachings in engineering and technology for women students of all types of universities and colleges as well as for women professionals interested in further training. Entering higher education, developing a student career, transition into labour market and lifelong academic learning are equally in the field of vision. Inter/national lecturers and students meet at the Ingenieurinnen-Sommeruni in Bremen, Germany to exchange. We cordially invite women students of all disciplines, levels and different types of institutions of higher education as well as all women interested in engineering and women professionals from all over the world! You will experience three weeks of professional studies and establish a network with women having manifold backgrounds in a friendly and stimulating environment at the University of Bremen. Courses will be taught in English and German. You will find courses with one-week and half-a-week length, as well as short workshops. There are specific courses for student beginners as well as for advanced students and for practitioners who wish to get further education on a current academic level. 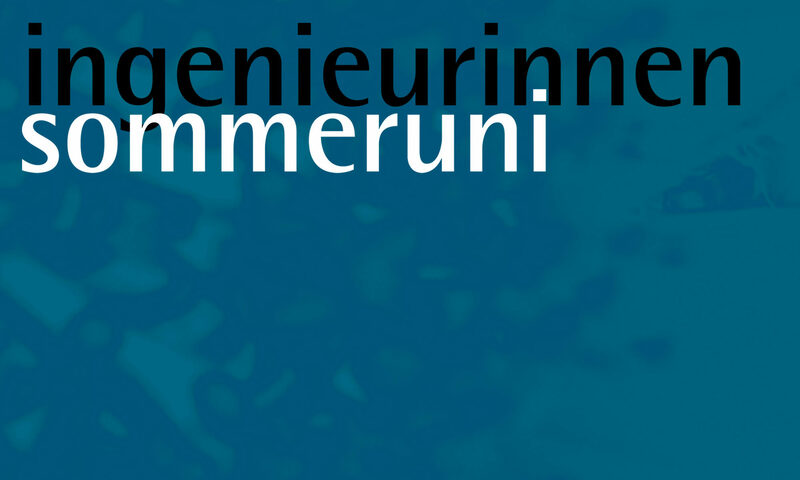 In 2005 the University of Bremen started the first summer university for women in engineering: Ingenieurinnen-Sommeruni is a place for experimentation and professional exchange, with the intention to develop and imply new impulses in Engineering. The concept of Ingenieurinnen-Sommeruni has been transfered from Informatica Feminale, the summer university for women in Informatics (Computer Science). Informatica Feminale was developed at Bremen University in 1998 and is organized at Bremenon a yearly basis in parallel to the Ingenieurinnen-Sommeruni . More detailed information about the concept and history of Informatica Feminale can be found at www.informatica-feminale.de.